← Socs Day Part II and Upcoming Social! Home » Uncategorized » PizzAmore! This entry was tagged Cork, Food, Italian food, Italy, Movie, Pizza, Pizzamore, Restaurants, UCC. Bookmark the permalink. Che buona questa pizza! Do they make rianata, our Sicilian pizza? When I lived in New York people didn’t know about it. I’ve seen Cinema Paradiso three times! And Ba’aria 5 times! I just noticed you’re writing from Cork. I’ve been to Ireland so many times. Once many years ago my mom and I stayed one month in a farm house in Cork. We had so much fun… and gained so much weight. We loved the 5 o’ clock tea. My brother lives in Ireland, near Dublin, that’s why I travelled there a lot. Good to hear you’re a fan of good food 😉 Pizzamore do a big range of pizzas and calzone made to order. 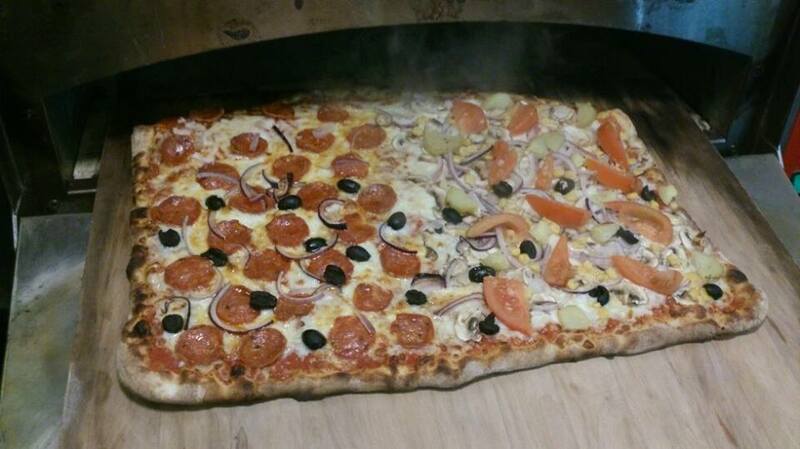 The business is run by Italians and they make sure that all pizzas are made in an authentic, Roman style! They were really delicious. I hope you enjoyed all your visits to Ireland and that you’ll be back soon.